Anybody surprised? As it was expected, the 5800 Xpress Music is now officially announced by Nokia. 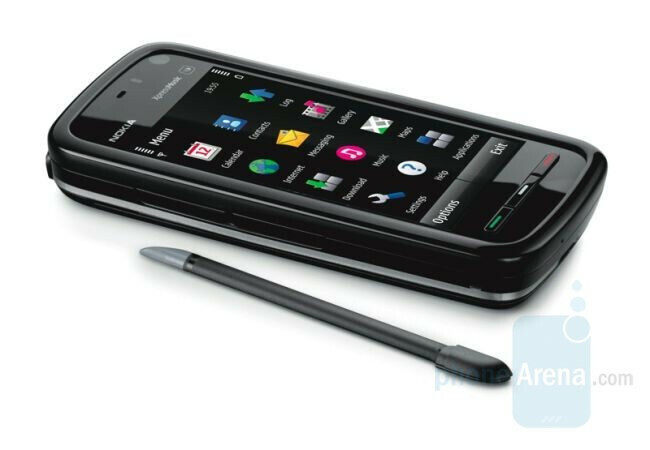 This is the first phone to feature a touchscreen while running on a Symbian S60 operating system. This is the new S60 5th Edition, which was also announced today. Rumors confirm and the 5800 Xpress Music will be a mid-level phone, priced at about $390 (EUR 280) unlocked with a 8GB card. Features include 3.2-inch 640x360 pixels display (good one Nokia! ), 3.2MP camera, Wi-Fi, GPS, and 3.5mm jack. It will be available before the end of the year in either black, red or blue. There will be three versions: with North American HSDPA, with European HSDPA and GSM only. you know, besides windows and apple. woooooooooow!! so nice :O love it!! Dude, I am not trolling, but this sucker looks way too thick. im seeing what youre seeing, 15mm? that is kinda thick compared to all the new touch phones out there. $390 unlocked is a bit pricey for me. How much would this type of phone normally cost if one was to sign with a 2 yr contract w/ a provider like t-MOBILE OR at&t? Wow good question, I can't imagine it would cost more than the G1 phone. Anyone know how much? 390 is cheap for being unlocked, and you cant buy it on contract. most unlocked phones are expensive look up touch diaomond,omina those phones are pushing like 600-700 dollars. this phone is a great deal. nokia is junk, get with the times. what do u mean buy Nokia is junk? Then go visit some non-American site and shut the hell up if you have nothing else to say. This isnt the phone I saw in The Dark Knight? It was a different model? BORING! stop making boring phones Nokia! You're boring everyone! Stop boring everyone! i challenge u to a dual POW! You people don't read. This isn't the same old Symbian OS. But then again, I don't expect much from the non-American teenagers who frequently post here. Why does everyone think that this phone is meant to compete with the likes of iPhone or G1??? Nokia is not a one flavor cellphone maker, like Apple who has various MP3 players for different customers(Shuffle, Nano, Classic, and Touch); Nokia makes various Cellphones, Smartphones(Classic, XpressMusic, E-series, and N-series) to fit multiple customers needs. This phone is not Nokia's response to the iPhone or G1 or any other Touch based phone, this is Nokia's first stab at the Music Market which Apple dominates(in the U.S. for the most part; thus it's under Nokia's XpressMusic line up and not their Stronger N-Series Smartphones). The price announced is killer for one very cool reason... 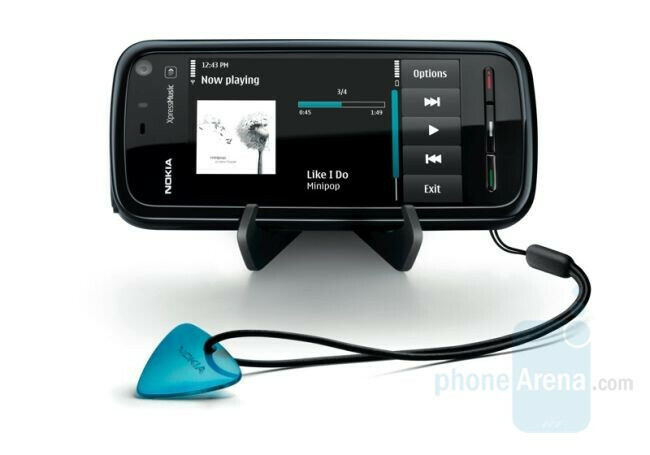 It includes a one year subscription to Nokia Music, which Nokia will launch in the U.S. first quarter 2009. With that subscription, you have unlimited song downloads that are DRM locked to your phone and PC, but yours to keep forever without giving them back like other services ask you to do. After that there is a la carte option subscription, which by my guess will be very competitive to other music services. And if that wasn't enough, everyone should read the specs that the new S60 5th edition OS has to offer(which had been under developing long before the touch crazed hit the U.S.). It not only offers improved copy and paste functionality(over the existing system on all S60 devices), but FULL Web Browser(with Flash Video support, which was already present in S60 3rd Edition FP2 devices) on a new High Resolution(640x360) 16:9 aspect Screen to name a few. And with all this said, this phone is still under Nokia's mid-range line up; which in the end makes you wonder just how much you're paying for an iPhone or G1 that claim to be High-End?